"I remember Nicky's diagnosis like it was yesterday. I had to leave the Dr's office early so I could go in my car and cry. The Immigrant Song by Led Zeppelin was playing in my car and I remember blasting the song while I cried punching my steering wheel several times. It was all a blur and in 1999 there wasn't really an internet or a place I could quickly go to get information. We started reading books and immersing ourselves to try and figure out how I was going to "fix" Nicky. Yes, I felt at the time that I would "cure" my son. There wasn't a goal I couldn't hit and now it was something related to my son. I knew I would not be defeated. The problem there was I did not know my "enemy" and it was something I was not prepared for as time went on. Over the years, we tried several things. Nicky is on the severe side. I remember when he was three he verbally told me he loved me. That was the only time he verbally ever told me. Now he signs and tells me with his eyes and that billion dollar smile. Later, we had Bobby and watched everything he did and when he was diagnosed more on the mild end, I did not accept it. Looking back we only lived and breathed Nicky everyday, so knowing he wasn't "like" Nicky, we felt he was fine even if he was behind in some milestones. So, now having two kids on the spectrum is very challenging because they are very different kids. We've tried many different things with both our children and love them very much. My current goals for them are eating healthy and exercising. Many children and parents on the spectrum have weight problems. This is something that is concerning to me because I always say I need to "outlive" my kids. I try to live a healthier lifestyle mixing in my pasta and pizza. After all, I am Italian!! We've been fortunate to have help along the way, but the biggest gap I see in our special needs community is with Nicky turning 21 he ages out and we need to find a day program. They are out there, but Nicky is more on the severe side so it is tougher. I have not been impressed with what is out there, but will continue to look. I've mentored many parents along the way to help them not make the same mistakes I've made and give them useful insight so they know they aren't alone. I'm always here to help. I created a Facebook group page called The Circle for our special needs parents and professionals. It is a safe space and the best thing I've ever done on social media. The final thing I'll say here is my Nicky and Bobby have simply made me a better man. I am so empathetic to all children and adults I see. I am truly blessed and thankful." 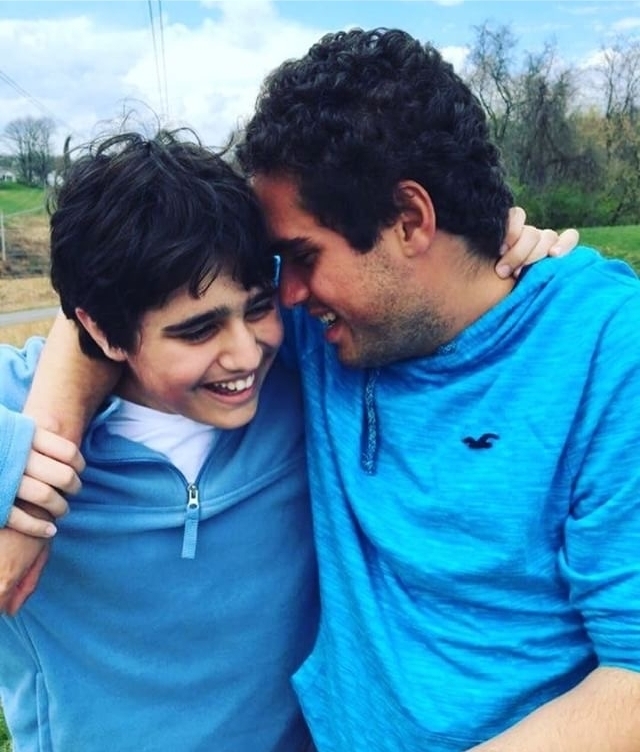 If you're interested in learning more or want to take a peek into The George's life raising two boys on the spectrum, you can follow him on instagram @fit_autism_dad.